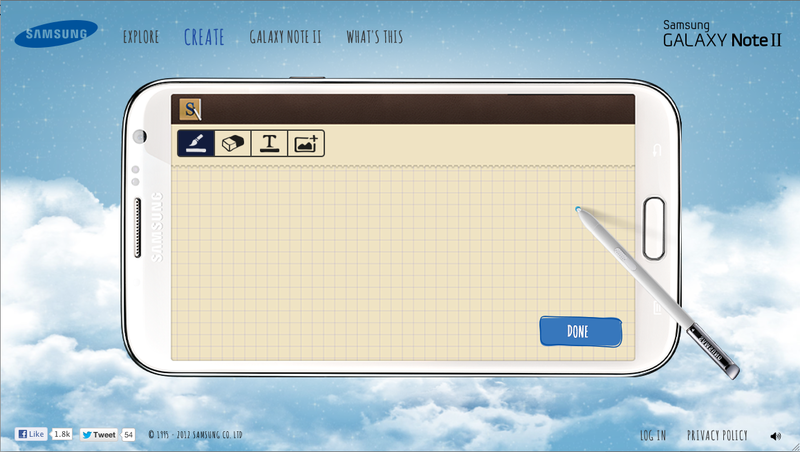 so what is Galaxy Wonderland all about? 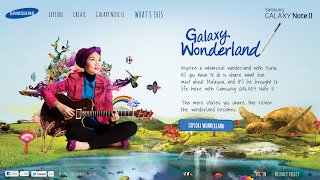 - it is a musical voyage brought to life on Samsung latest addition - the Galaxy Note II which celebrates Malaysia's identity through its culture, places and of course Art. is there a contest that's on going at Galaxy Wonderland? and when u've done loading the page, go to the Create page. 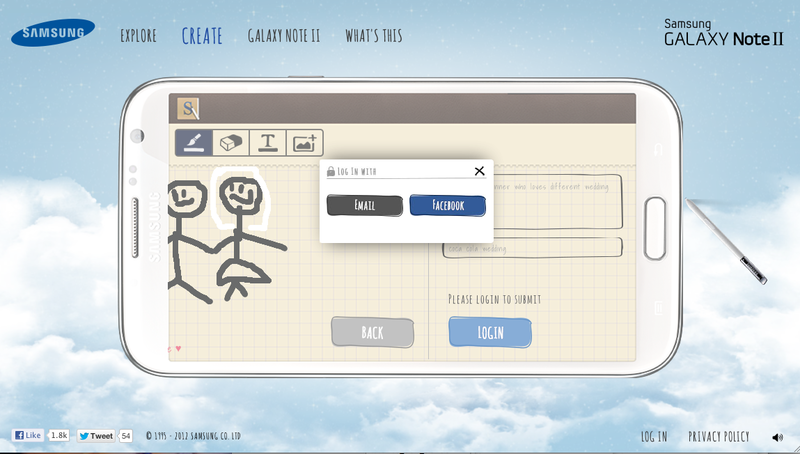 and then click into Start Creating. and you can start sharing your story or inspiration. you can choose to draw or attach pictures/videos/voice recordings for your inspiration too. and when u're done, click Done and submit your entry. and u'll have to log in through your email or facebook account. 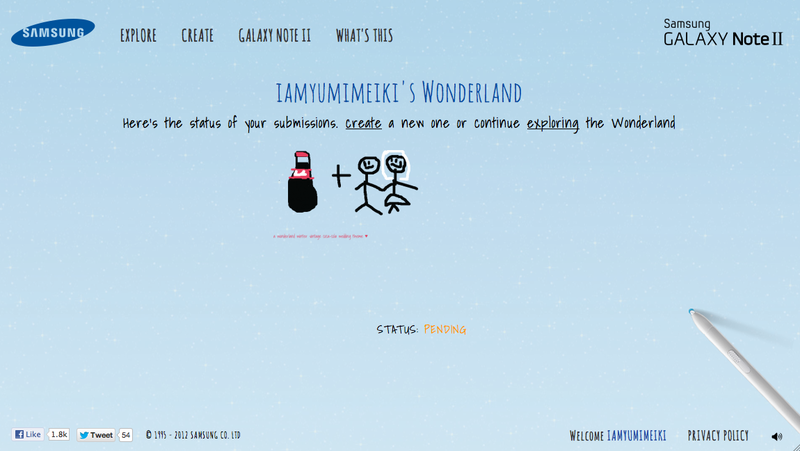 and after submitting, click continue and u'll see your entry status. and tadaaa!~ u're done. but don't just submit 1 if you have a whole lot of ideas and stories to share..u can submit as many as you like!~ go nao!